The Samsung Galaxy S7 and the Galaxy S7 Edge might not be only products the South Korean tech giant will be showcasing at MWC 2016. The firm will also be launching the Iofit wearable device, specifically a smart shoe, globally. The product is developed by Salted Venture, a startup, in collaboration with Samsung and will be shown at the trade show from February 22. From the Iofit website it appears like there will be two versions of the smart shoe. While one will be for rough gym training and workout purposes, the other will be meant for golfing. The former is supposed to improve workout efficiency, injury prevention, and exercise posture, while the latter aims to improve users’ swing posture, weight shift, and club head speed. Both versions will also improve the wearer’s interaction with the trainer. 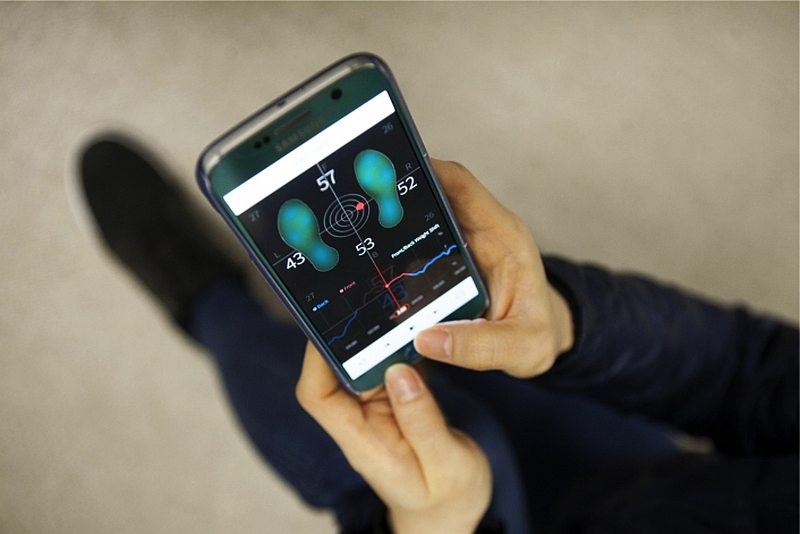 Both Iofit smart shoes make use of embedded pressure sensors and accelerometer to detect a user’s balance and posture information during different workouts, and giving them feedback and tips in real-time or later. The gathered information from the Iofit smart shoe will be sent to an Android app to view compiled results. The Smart Coaching application will give a summary report and coach’s feedback saved in videos. With the app, wearers can compare their recorded videos with others or with themselves for before and after views. Side-by-side video comparison is also possible. As for the prices, the fitness shoe will be priced at $199 (roughly Rs. 13,600), while the gold shoe will cost $259 (roughly Rs. 17,700), says The Verge. Xiaomi last year in July launched a Smart Shoe in partnership with sports brand Li Ning. The Li-Ning Smart Shoes are waterproof, sweat proof and can withstand pressure while running. The shoes pack a Bluetooth chip which allows them to connect with a paired smartphone, and are also said to feature military-grade motion sensors. It can also record steps and calories among others.